–Steven Weinberg, Dreams of a Final Theory p158. At one time almost all the science professors were Aristotelians —the establishment supporters of the Earth-centered universe. The heretical revisionists were Copernicans —the revolutionary proponents of the Sun-centered universe. Today, almost all the science professors are Big-Bangers —the establishment supporters of the exploding universe. The modern revisionists know them to be wrong —profoundly wrong. And the revisionists, armed with a new cosmology, can prove it. The stage is set for the next revolution in cosmology. The present article traces, in summary form, how our way of looking at the universe gradually evolved through a natural selection of ideas. It presents summary charts of various models of the Universe including the sub-categories for the Historical-, the Expanding-, and the Cellular- Universes. There is also a summary of Miscellaneous Models. Some commonly accepted ideas are examined and found to be seriously flawed. The primary emphasis is on that class of model neglected by mainstream cosmology: The class of the Cellular Universe. Included in this article's collection of Universe Models is a precedent-setting entry with awesome predictive powers. The following table outlines the significant historical models in chronological order. Notice that all the historic models possess one or more of the attributes of expansion, contraction, and stability. Each universe can be said to expand, oscillate between expansion and contraction, or do neither and just sit there maintaining a static or equilibrium state. None can be classified as cellularly structured. It seems that throughout history the cellular universe was never seriously considered. Brahmanda (Earliest known model) Ancient Hindu Rig-Veda treatise on cosmology Cyclical or oscillating. 600-400 B.C. Heliocentric The followers of Pythagoras believed that Earth (and the planets) moved, along with the Sun, around a “central fire” at the center of the universe, a central fire which was visible only indirectly from its reflected light. The Earth rotated daily on its own axis. The motions of the planets were supposedly related to numerical harmonics like those of musical notes. Atomist universe Anaxagoras (500-428 B.C.) & later Epicurus Infinite in extent The universe contains only two things: an infinite number of tiny seeds, or atoms, and the void of infinite extent. All atoms are made of the same substance, but differ in size and shape. Objects are formed from atom aggregations and decay back into atoms. Incorporates Leucippus’ principle of causality: ”nothing happens at random; everything happens out of reason and necessity.” The universe was not ruled by gods. Stoic universe Stoics 3rd & 4th c. B.C. Island universe The cosmos is finite and surrounded by an infinite void. It is in a state of flux, as it pulsates in size and periodically passes through upheavals and conflagrations --reminiscent of some 20th century big bang models. Static, steady state, finite A spherical and spatially-infinite cosmos. Spherical earth is surrounded by concentric celestial spheres. Universe exists unchanged throughout eternity. Emphasis on Plato’s geometric ideal of perfectly circular orbits. Motions are caused and controlled by intelligent agents ("souls"). Contains a 5th element called ether (also known as quintessence). The ideas of a beginning of the cosmos and of a beginning of time are rejected. Aristotle’s cosmology is considered to be the first “steady-state” universe. Aristarchean universe Aristarchus of Samos (circa 280 B.C.) Heliocentric Earth rotates daily on its axis and revolves annually about the sun in a circular orbit. Sphere of fixed stars is centered about the sun. Aristarchus beat Copernicus to this realization by 1800 years. (2nd century A.D.) Geocentric Universe orbits about a stationary Earth. Planets move in circular epicycles, each having a center that moved in a larger circular orbit (called an eccentric or a deferent) around a center-point near the Earth. The use of equants added another level of complexity. The most successful universe model of all time, using the criterion of longevity. Almagest (the Great System). The System allowed astronomers to predict the positions of the planets reasonably well. Its fatal flaw was its inability to account for the observable changes in the phases of Venus, revealed after the invention of the optical telescope just prior to 1608. Copernican universe Nicolaus Copernicus 1543 Heliocentric The ancient Aristarchean universe rediscovered. The Copernican universe was essentially a remapping of the Ptolemaic scheme to make the Sun the center of the system rather than the Earth. It retained ideal circular orbits and still needed epicycles. But it captured the revolutionary idea that the Earth moves! "Revolutions of the Celestial Spheres." Condemned by the Catholic Church in 1616. Static Newtonian Sir Isaac Newton (1642-1727) Static (evolving), steady state, infinite Every particle in the universe attracts every other particle. Matter on the large scale is uniformly distributed. Gravitationally balanced but UNSTABLE. (Fractal universe) Immanuel Kant, Johann Lambert 1700s Static (evolving), steady state, infinite Matter is clustered on ever larger scales of hierarchy; forming a fractal universe. Matter is endlessly being recycled. Fatal flaw: It has a cosmic center.
' ' Carl Charlier, early 20th century Swedish astronomer Charlier pointed out that "In a hierarchical universe the density of matter becomes progressively less when averaged over larger and larger regions." In theory, the hierarchy may be arranged so that in the limit, on the cosmic scale, the average density of the universe approaches zero. The larger the scale the weaker gravity becomes. On the largest scale gravity vanishes. Einstein 'Equilibrium' universe Albert Einstein 1917 Static (nominally). Bounded (finite) “Matter without motion.” Contains uniformly distributed matter. Has a constant radius of RE= 1/Λ2. Has uniformly curved spherical space; space is said to curve in on itself. It is based on Riemann’s hypersphere. Curvature is set equal to Λ. In effect Λ is equivalent to a repulsive force which counteracts gravity. UNSTABLE. steady state New matter is created from radiation. Starlight is perpetually recycled into new matter particles. Dirac universe Paul Dirac 1930s Expanding Demands a large variation in G, which decreases with time. Gravity weakens as universe evolves. Note: the term “static” simply means not expanding and not contracting. Symbol G represents Newton’s gravitational constant; Λ (Lambda) is the cosmological constant. The Ptolemaic model was the Western world’s most popular and successful cosmology of all time, and represented the orthodox view for more than 1500 years. It was so firmly established that only a revolution could lead to dethronement. And as it happened the Copernican revolution took hold. An Ancient idea gained new life as Copernicus revived Aristarchus’ Heliocentric model and became wide-spread throughout Europe and beyond. The Ptolemaic cosmology was doomed. Nothing could save the established theory of the heavens: Not the vast power of the Church; not the Papal edicts; not the threats of the Inquisitors; not the torture of heretics; and not the burning of books. If the succession of the Ptolemaic universe by the Copernican universe represents the third cosmology revolution; then the overthrow of the Copernican world by the Big Bang (BB) universe represents the fourth cosmology revolution. Now let us draw a critical parallel between the most popular model of the past with the most popular model of the present. The Ptolemaic model placed the Earth at its center and used geometric elaborations involving circles within circles. It was a mechanically intricate complexity that actually managed to replicate the apparent orbital motions of the planets and make reasonably accurate positional predictions. The Ptolemaic model, however, seems almost simple when compared to the BB model. The BB uses geometric curvature, hot and cold dark matter, dark energy (expansion), inflation (hyper-expansion), acceleration (when not using deceleration), re-inflation (more expansion), and something called "open inflation." [Scientific American Jan 1999 p66]. In the Archaic system, eccentrics, epicycles, and equants, served as the model’s mechanical adjustments that permitted its defenders to say, with a straight face, "See, the celestial objects are precisely where they should be." In the modern BB system we have a similar situation. Such unreal things as space-curvature, dark matter, virtual particles, inflation, acceleration, and even 9-dimensional strings, have all been proposed to justify the similar claim, "See, the universe evolves precisely as our revised model says that it should." Ptolemy’s "eccentrics, epicycles, and equants" were found to have no basis in reality and were cast aside. Curvature, dark matter, virtual-particle energy, inflation, acceleration, and strings, (as used in BB cosmology) are equally devoid of reality and, in the fifth cosmological revolution, will suffer the same fate. Another popular historic model was the Hierarchical universe. With its endless progression of systems of increasing size filling infinite space, it seemed an elegant and simple construction. Unfortunately it could not survive an important finding of modern cosmology. Then, from the dominant views, a simple but fateful extrapolation was made: If galaxies appear to be receding then the whole universe is probably expanding. If the evidence shows that space expands then the whole universe must be expanding. Cosmology took a major turn. What had for the most part been a stable universe was deemed, by the scientific community, henceforth to be an expanding universe. The fourth revolution in cosmology was a swift one. With the opposing sides coming to the same conclusion, in spite of their differences over the interpretation of the cosmic redshift, it is small wonder the revolution towards the expanding-universe concept became unstoppable. And so the 20th century became the age of discovery of the seemingly endless ways in which the universe could expand ---at least mathematically. Table 2 describes the most popular constructions and those with some special significance. Notice that Big Bang cosmology is the main subclass of expanding-universe cosmology. 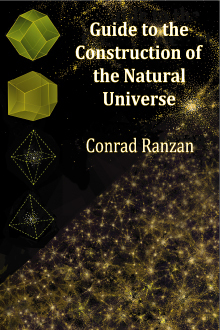 Brahmanda Ancient Hindu Rig-Veda treatise on cosmology Expanding and contracting in cycles. Infinite in time. Models the Hindu belief that the Universe has no absolute beginning or end, but follows a perpetual cosmic creation and dissolution. See Table 1 for more details. (Dutch astronomer) Expanding flat space. Λ > 0 “Motion without matter.” Only apparently static. 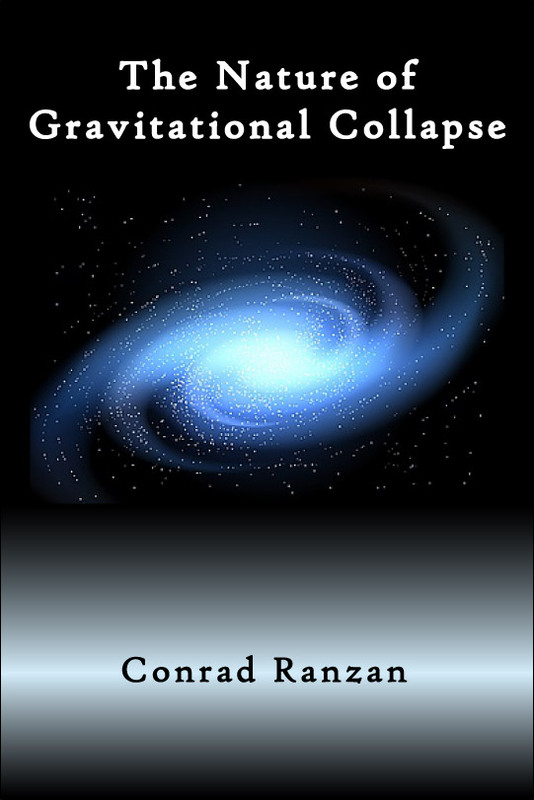 Based on Einstein’s General Relativity. Scaling factor (radius of a region of infinite universe) increases exponentially. Friedmann universe of spherical space Alexander Friedmann 1922 (Russian mathematician) Spherical expanding space. k = +1; no Λ Space geometry is similar to Einstein’s Equilibrium model, but in addition to the positive curvature of space there is also a curvature of time. In Friedmann’s version of the closed universe there is a beginning and an end to time when material expands from and recollapses to infinite densities. Curvature constant k = +1. Expands then recollapses. Matter dominated. Spatially closed (finite). Friedmann universe of hyperbolic space Alexander Friedmann 1924 Hyperbolic expanding space. k = −1; no Λ Negative curvature. Said to be spatially and materially infinite (but ambiguous). Unbounded. Begins with expansion from a big bang of infinite density. Expands forever (The question you’re not supposed to ask is, What does it expand into?). Friedmann zero-curvature, aka the Einstein-DeSitter universe Einstein & DeSitter 1932 Expanding flat space. Critical density Space-curvature constant k is zero; space pressure is zero; cosmological constant Λ is zero. Said to be infinite (but ambiguous). "Unbounded cosmos of limited extent." Begins with a big bang and expands forever. Specifically, the expanding distance between widely separated galaxies varies as time to the 2/3 power. "Simplest" of all known universes. Named after but not considered by Friedmann. Has a deceleration term q =½, which means that its expansion rate slows down. 1920s & 1930s Expanding and contracting in cycles Time is endless and beginningless; thus avoids the beginning-of-time paradox. Perpetual cycles of big explosion followed by big implosion. Each cycle is slightly larger and longer than the preceding cycle owing to the growth of entropy. However, back extrapolation revealed that the beginning paradox could not in fact be resolved. then Expands Static Einstein 1917 universe with its instability disturbed into expansion mode; with relentless matter dilution becomes a DeSitter universe. Λ dominates gravity. Milne universe of kinematic relativity Edward A. Milne,1933, 1935. 1930s Kinematic expansion with NO space expansion Rejects general relativity and the expanding space paradigm. Gravity not included as initial assumption. Obeys cosmological principle & rules of special relativity. The Milne expanding universe consists of a finite spherical cloud of particles (or galaxies) that expands WITHIN flat space which is infinite and otherwise empty. It has a center and a cosmic edge (the surface of the particle cloud) which expands at light speed. His explanation of gravity was elaborate and unconvincing. For instance, his universe has an infinite number of particles, with a non-constant G, hence infinite mass, within a finite cosmic volume!! It also has two separate time scales! Robertson-Walker universe Howard Robertson, Arthur Walker, 1935 Uniformly expanding Uses the most general form of the general relativity metric for a spacetime satisfying the cosmological principle (homogeneity and isotropy). Spacetime separates into uniformly curved space and cosmic time common to all comoving observers. The formulation system is now known as the Robertson-Walker metrics of cosmic time and curved space. Steady-state expanding (Bondi & Gold) Herman Bondi, Thomas Gold 1948 Expanding, steady state, infinite Matter creation rate maintains constant density. Continuous creation out of nothing from nowhere. (Presumably, like the Hoyle model below, the energy released by space expansion is used in the process of matter creation.) Exponential expansion. Deceleration term q = −1. No mechanism for terminating matter; and therefore, arguably, violates conservation of matter. Steady-state expanding (Hoyle) Fred Hoyle 1948 Expanding, steady state; but unstable Matter creation rate maintains constant density. Energy released by space expansion is used in the process of matter creation. But critics have argued that since matter creation rate must be exactly balanced with the space expansion rate, the system is unstable. No mechanism for terminating matter; and therefore, arguably, violates conservation of matter. (British cosmologist) Expanding, steady state A universe in tension: McCrea proposed that a negative pressure (equivalent to a state of cosmic tension) may be present in the universe. It can be detected only in the way it affects the dynamics of the universe. As the universe expands energy is released, and this energy could take the form of newly created matter. Narlikar 1975 Static. Expansion is only apparent Instead of an expanding universe with atoms of constant mass this model has a STATIC universe of SHRINKING atoms making the universe appear to be expanding. When atoms grow in size, universe appears to collapse. Avoids creation mystery. Symbol G represents Newton’s gravitational constant; Λ (Lambda) is the cosmological constant. A table similar to this one appears in Wikipedia, the on-line encyclopedia, as Models of the Universe and was originally created by the author. LAMBDA. Lambda, Λ, when positive, is a force or effect that opposes gravity. Lambda is an intrinsic property of space, or the space medium, itself. AMBIGUITY OF INFINITY. There is a certain ambiguity of the "infinite" designation with respect to some models: If a universe has a point-like beginning and then progressively expands as it ages, how can it be infinite? Arguably, not in age! and certainly not in size! A universe that is said to have a true beginning precludes infinity of age. A universe that is said to expand precludes infinity of size. The reason is simply that only finite entities can logically be said to expand. To say that something of infinite size is itself expanding is unnecessary as well as meaningless, for that which is infinite is already fully expanded. That which is infinite in its spatial dimensions cannot become more infinite. To say the universe becomes more infinite in extent is to deny that it was infinite in the first place. Furthermore, whatever is finite, no matter how much it grows, will always remain finite; it can never become infinite. TYPES OF EXPANSION. Physicists have several methods for driving the expansion. (1) Expansion may be caused by curvature of space. This is the mathematical method. The great advantage is that it allows the confinement of that which is infinite. (2) Expansion caused by the physical growth of the space medium. This is a plain-and-simple method. It allows theorist to give the space medium various essential or fundamental properties —theory-specific properties. (3) Expansion caused by something called inflation. This is the ‘save-the-appearance-by-any-means’ method. (4) Expansion caused by something called dark energy. This is the ‘dark-and-mysterious’ method. (5) There are other methods such as Kinematic expansion, Quintessence, Space tension, etc. Static Universe: No expansion, no contraction —motionless. A static universe is one that is constant in size. Any contained objects can have peculiar motions and can evolve. Therefore, its appearance may change. Steady State Universe: May have expansion or contraction, or a harmonious balance of both. Any activity that occurs must be perpetual and unalterable. Static Steady State: No expansion or contraction. Its appearance, on average, must never change. Later we will see that a cellular universe is another type that has the ability to maintain equilibrium. THE GRAVITY PROBLEM. Einstein, during his early years, denied the existence of absolute space, but this did not stop him from giving non-existent space some suspiciously real properties such as geometric curvature and the dynamic ability to expand and contract. His unreal space even acquired the ability to order the very real motions of the planets, the stars and the galaxies. This concept though mathematically significant has by itself no physical content; it is merely the choice of a particular mathematical apparatus for describing and analyzing phenomena. An alternate procedure is to choose a static space, as in ordinary physics, and analyze the expansion phenomena as actual motions in this space. –Milne, E. A. A Newtonian Expanding Universe, Quarterly Journal of Mathematics, Oxford Ser., 5, 64 (1934). Unfortunately Milne’s purist rejection of all properties of space, in favor of a Euclidean space, leads to the conclusion that his universe possesses a center and a cosmic edge —attributes which no realistic model may have. The other models in Table 2 do not fare any better. It turns out that almost all of them share this problem. Cosmic center and cosmic edge are imperfect features a model-maker strives to expunge from his creation. And yet ... they persist ... they demand inclusion. If gravity is to be a part of the grand construction, which is almost always the case, then they demand some kind of inclusion. David Layzer at Harvard in 1954 updated the notion that gravity is impotent in a universe without center and edge. [--Layzer, D. On the Significance of Newtonian Cosmology, Astronomical Journal 59, p268-270 (1954 Aug)] The finding has profound significance for conventional cosmology. Categorically, the gravitational effect in expansion models is definitively not impotent (the DeSitter model is an exception). Gravity is actually one of the two most powerful and potent grand-scale effects in, and of, the Cosmos (Λ is the other). The conclusion is unavoidable. Concordant with Layzer’s research, all such models do have a center and a cosmic edge! And why is this so bad? ... It is nothing less than a gross violation of a fundamental principle of cosmology. The gravity problem may be stated this way: For gravity to be potent there must be some sort of cosmic center and some kind of cosmic boundary, but at the same time, while affirming gravity’s potency, there must be absolutely no violation of the cosmological principle! While gravity requires some sort of preferred location(s), the cosmological principle prohibits preferred locations for the Universe! There is only one class of models with the potential of solving the Layzer gravity problem. Only one class. It is the cellular class, and will be described later. THE FAILURE OF EXPANSION MODELS. All the expanding universe models above (and others not listed) have one common flaw. They all violate an important axiom of cosmology —known as the containment principle (as well as the related cosmological principle). It demands that the universe includes or contains everything that is physical (everything measurable) and nothing else. In practical terms it means a universe can have no boundary that separates itself from some outer region that is not a part of itself. As David Layzer argued, if gravity is to be a dominant force/effect then a limiting boundary or cosmic edge must exist. We know that gravity is the dominant player in our Universe. So let us ask the question, the one the experts tell us we are not supposed to ask: As the Big Bang universe (or any expanding universe) expands, what in the world (or whatever) is it expanding into? Furthermore, if it is expanding into a nothingness-void (or whatever), why isn’t that considered part of our universe? The "whatever" region is a forbidden region beyond the cosmic edge. Conversely we might ask, in the case of the contracting phase of the oscillating models, what happens to the volume that the fully-expanded universe had previously occupied? Is it still there ready to be revisited during the next expansion phase? The answer: Unless we are willing to use the magic of mathematics as our guide to reality, the only rational answer is to admit that expanding models are but sub-universes of a full-status Universe —one that is infinite in extent and nonexpanding. MATHEMATICAL MAGIC. True enough, mathematical hyper-dimensional space can conform to the above principles. Here, one should try to understand that (mathematically speaking) curved cosmic space can form a four-dimensional sphere called a hypersphere. If your imagination is good, think of ordinary three-dimensional space being analogous to the two-dimensional surface of an ordinary sphere: Such a universe is said to be finite and unbounded. Inside a four-dimensional sphere (hypersphere) one can travel indefinitely in any direction without reaching an edge; just as on the surface of a three-dimensional sphere. A universe hypothesized as a geometric hypersphere is a marvelous thing. It has no exterior to which we can point and say, "Hey, this outer region is not contained in your universe!" No exterior to which light can ever escape! Yes, there are equations that, almost like magic, prove that light never leaves the confines of the hypersphere universe, but instead, curves in its path to re-emerge from the opposite direction (having circumnavigated the hypersphere). This means that in a universe of positively curved space if you could see far enough and wait long enough you would glimpse the back of your head —the light beam having circled the universe to arrive at the front of your telescope [Timothy Ferris, The Whole Shebang p320]. The equations dictate that over the course of many billions of years light circumnavigates the universe. Welcome to the wonderful world of curved space. If you think the foregoing defies all common sense, you are not alone. Something doesn’t seem right; yet it would be pointless to argue with the logic of the formulation. Mathematically the Friedmann universe of positively curved space (and the Einstein 1917 universe, Table 1), which is based on the hypersphere, does not have a cosmic edge and does not violate containment. The ‘something’ that does not seem right is the connection with objective reality. We base our principles on reality —and a real universe cannot have a cosmic edge. The question is, “Is the hypersphere based on reality?" I present the reader with a choice: Accept the truth of the statement: If something is real (has a physical reality) then it can be represented mathematically. Or accept the truth of the converse: If something can be represented mathematically then it is real (has a physical reality). The validity of the first statement should immediately be self-evident. Anything that is physically real can be measured (length, width, height, time, speed, temperature, pressure, mass, force, energy, ... ). Measurements, of course, can be converted into numbers and numbers can be manipulated with mathematics. Now what about the converse statement, is it also true? ... It is not. It does not follow that if something can be represented mathematically then it must possess a physical reality. To make such a claim constitutes an error in logic known as the fallacy of the converse. The choices I offered are not logically equivalent. Reality is the master that restrains the applicability of mathematics. Mathematics does not dictate reality. It is physical law that determines the mathematical constructions; mathematical constructions do not necessarily determine the laws of physics. All mathematics ... can be interpreted as mapmaking. 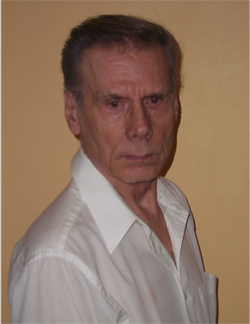 Pure mathematics constructs maps of abstract space. A mathematician can map the contours of a four-dimensional sphere or a ten-dimensional cube without worrying about whether any such thing actually exists. [Some theories] substitute mathematical symbols as the basis of science and deny that any concrete experience underlies these symbols, thus replacing an objective [universe] by a subjective universe. That the latter choice can lead to a dead-end is easily revealed. If mathematics ruled reality then the various string theories that have occupied theorists for decades would long ago have been verified. String theory involves several branches of mathematics, elegant equations, kaleidoscopic symmetries, unfathomable complexity, and little else. Research into strings and membranes have so far shown that any and all hypotheses that require more than the basic four dimensions (3 spatial and 1 temporal) do not represent anything that is real in a physical sense. We must conclude that a 4-dimensional sphere is not something real. A universe based on the 4-dimensional sphere —whether the hypersphere of positively curved space or of negatively curved space— is not a real universe. Furthermore, we must recognize that higher dimensional geometry (and topology) when misapplied turns into a mathematical trick to circumvent the cosmic edge and cosmological principle. UNIVERSAL EXPANSION AND INFINITE SIZE ARE MUTUALLY EXCLUSIVE. All the expansion models (Table 2), although meticulously crafted, are speculative. Each uses its own mathematical construction in an attempt to dictate reality. Each fails a crucial reality check. The models of Table 2 all represent universes that expand and are, explicitly or implicitly, of finite size. These two properties are not coincidental. One cannot construct a universe predicated on universe-wide expansion, then expect to have unrestricted freedom of choice with respect to size —finite or infinite. If one claims that an entire universe expands, then it must necessarily be a finite universe. By that very activity of growing, it defines itself as a universe of limited extent. And what is so faulty with finite constructions? ... Well, there‘s that cosmic-edge-and-forbidden-region problem once again. A universe of finite size has an uncontained exterior into which it is expanding. Each expansion model fails because it neglects the reality that the Universe we live in has always been fully expanded. This universe is infinite and cannot expand! However, this does not mean that no expansion takes place in our universe. Let me state categorically: The space medium (the vacuum) is expanding in the universe. The vacuum expands as part of a “harmony of opposites” as the Ancient Greeks would say. The vacuum expands in a patterned equilibrium with opposing contraction. Note the distinction: Expansion is in the universe, not of the universe. The historic Steady State models are classified as "infinite" (Table 2); but as we have just seen this cannot be. One cannot claim that a universe is infinite in extent and simultaneously expanding (no matter how good one's imagination). The two concepts are mutually exclusive. FEAR OF INFINITY. If it is so easy to expose the failings of the expansion models, how then does one explain their persistent popularity? Think, for a moment, of mankind’s fallible ways of selecting and promoting ideas. Everything else being equal, which hypothesis will grab more headlines, generate more excitement, motivate more recruits, elicit more government and corporate funding: on the one hand, a scenario of universal expansion with a fire-and-brimstone genesis, or on the other hand, a scenario in which nothing extraordinary happened (there was no beginning and the universe simply exists in some state of steady processes)? ... Exactly. The flashy award-winning Block-Buster theory will upstage the staid and steady presentation. Throw in the support, during the 20th century, of the Western World’s dominant religion with its affinity for cataclysmic events and, behold, the Expansion model becomes enshrined in reverence. It becomes a popular religiocultural icon. And to suggest that the sanctioned view-of-the-world is wrong is risky. Any alternate view becomes ungodly. If we wanted to proffer a deeper reason for the popularity of expansion models then the fear of the infinite would be a likely choice. All the models, arguably, avoid the dreaded concept of infinite size. Although the Bondi-Gold steady-state model claims to be infinite, the argument that was used above reveals otherwise. If one is willing to delve deeper, the fear of infinity can be found in diverse fields and throughout history ---in philosophy, in religion (let us not forget why Giordano Bruno was tortured to death), in mathematics, in science, and in modern cosmology. THE MOST CRITICAL DEFECT. The most critical defect of all Expansion models is their inability, utterly hopeless inability, to account for what is known as the Abell 85 anomaly —a major inexplicable configuration of galaxy clusters in the direction of the A85 rich cluster. Cosmic expansion may be simply a temporary condition which will be followed at some future epoch of cosmic time by a period of contraction. The universe in this picture is a pulsating balloon in which cycles of expansion and contraction succeed each other through eternity. The significance of the dual expanding and contracting models is that astrophysicists acknowledge that if space can expand then it can also contract. The postulating of oscillating and cyclic models represents tacit admission that if space can expand then it can also contract. This is important to the DSSU model which takes the unique and perfectly legitimate step of using both expansion and contraction. Moreover, it uses them simultaneously. In this section we deal with that class of model neglected by mainstream cosmology: The class of the Cellular Universe. It is rather surprising that the cellular concept has never been seriously applied to the universe. Consider that so much of the natural world divides itself into repetitive sub-units. Prominent in this tendency is the organic realm; all organisms are structurally divided into living cells. Entities such as viruses, classified as somewhere between living and non-living, are structured as cells. The inorganic realm as well, structures itself as cells: Ice under certain natural conditions becomes cellular and is referred to as candled ice; crystalline minerals are composed of unit cells of the fourteen Bravis Lattices. One of the most remarkable examples of molecular-scale formation of cells is the buckyball structure of molecular carbon C60 found in the rare coal-like mineral known as shungite. In their geometric perfection they are indeed remarkable. On a larger scale: sun-baked and dehydrated mudflats crack into polygonal cells; the tundra of the Canadian north, in response to the expansion-and-contraction effect of the freeze-thaw cycle, is shaped into large flat cells. Even the sun’s surface is divided into cells (called thermal convection cells). If one considers individual atoms and molecules as being cell-like, then all solids, liquids and gases are likewise cellular. ... Then why not the entire universe? It seems a reasonable proposal, being as it is nature's preferred arrangement. The only necessary ingredients for cellularizing the universe are the processes of space-medium expansion and contraction —known processes, known to take place. Matter itself is ancillary. In this simplification, matter in the form of luminous stars and galaxies serves only to highlight the boundaries of the cells formed by the dynamics of space itself. Yet the concept, as applied to the universe, has been almost totally neglected (as the brevity of Table 3 reveals)! The table has only three entries: an antiquated one, an observational one, and a theoretical one. A search of the literature will find no true cellular models —only quasi-cellular ones. The construction of René Descartes (the Cartesian Vortex universe Table 3) is more of a historical model than anything else; it is probably the first attempt at a cellular design. The Descartes model uses a vortex hypothesis in an effort to explain the formation of astronomical structures such as stars, planets, comets, and planetary systems. With its aether-like space in dynamic motion it was definitely on the right track. Observational Jaan Einasto 1977 Quasi-cellular Structure of the universe has a preferred cellular scale of 100Mega parsec. However, this structure exists within a universe believed to be expanding. infinite The DSSU infinite universe is a stable lattice-like structure of cosmic cells. Categorically a non-expanding universe. Spatially distinct regions of expanding and contracting aether are maintained by the equilibrium expressed in: |contractile gravity| = |expansionary Λ|. Cosmic cells are self-regulating in size and are in a perpetual steady state of simultaneous medium-expansion and medium-contraction. In other words, the "space" constituting a cell is continuously dynamic. The cell boundaries constitute a stable (almost static) Euclidean structure that exists within the non-expanding universe. DSSU complies with both the Copernican principle and the perfect cosmological principle (time-independent homogeneity and isotropy on the large scale). The cellular class is defined by the compartmentation of the one-and-only real Universe. The cellular type of universe should not be confused with what are popularly known as bubble universes. Bubble universes belong to the class of multi-verses (a speculative class which also includes parallel worlds and multiple domains); some of the better known are described in Table 4 Miscellaneous Universe Models, which appears in the Appendix. The Bubble model of Alan Guth and the Chaotic-Inflation (bubble) model of Andreï Linde, as Table 4 makes obvious, are highly speculative. With names suggestive of instability (think bursting bubbles) and chaotic randomness, they are far removed from stable cellular organization and it comes as no surprise that they make no meaningful predictions. Their ability to explain the Universe and its phenomena are severely limited. There are many additional bubble models; practically all are based on the concept of inflationary space. The list includes extended inflation, natural inflation, hybrid inflation and many others. The description Andreï Linde applies to one of his favorite, the self-reproducing inflationary universe, gives the impression that his universe is diseased with a chronic cosmic cancer: There are scalar fields that evolve to produce arrays of inflating bubbles, some of which mature to make more bubbles, and so on ... ad infinitum. “In essence, one inflationary universe sprouts other inflationary bubbles, which in turn produce other inflationary bubbles.” [The Self-Reproducing Inflationary Universe, Scientific American Nov 1994, p38] Models of this nature never achieve equilibrium, and cannot be truly cellular. Coming back to Table 3, the quasi-cellular universe attributed to Jaan Einasto is strictly an observational entry. By Einasto’s own admission it has no theoretical backing. The Dynamic Steady State Universe (DSSU) stands alone and professes to be the first true cellular universe. It is supported by the observations of veteran astronomer, Jaan Einasto. As a comprehensive model it incorporates the very cause, as well as the effect, of gravitation. No other model in mainstream cosmology makes such a claim. The Dynamic Steady State Universe has the distinction of being the first universe model in the history of cosmology to incorporate the concept of a fully dynamic aether-space, which means, first and foremost, that the space medium expands and contracts. In the DSSU model, space-medium expansion is a primary dynamic activity. But note carefully, aether expands regionally. Simultaneously, aether contracts elsewhere —again, regionally. Hence, there is cellular order inherent in this universe. The space medium expands as part of a “harmony of opposites” as the Ancient Greeks would say. The space medium expands in a patterned equilibrium with opposing contraction. The patterned equilibrium is shown in the schematic of Fig. 1. The model represents dynamic stability: Expansion is in the universe, not of the universe. The DSSU, being infinite, has no cosmic center and no cosmic edge (and no forbidden external regions). And yet, remarkably, gravity retains its potency! Gravity asserts its power regionally. This cellular model of the universe solves the Layzer gravity problem. It manages to maintain gravity’s potency by ordering the Universe into gravity regions (cells) each with its own cosmic center and boundaries. 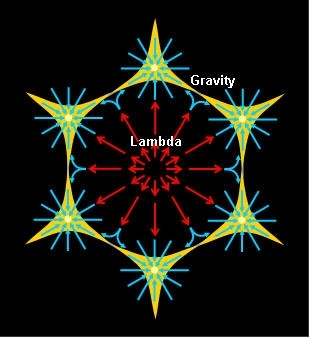 See the popular article Gravity and Lambda --a Story of Opposite. The following section continues with the overview of World models. WORLD VIEWS. It is possible to argue that the major world views, past and present, can be grouped into the perpetual, unchanging, universe on the one hand and the dynamic, tumultuous, even cyclical and plural, on the other —or simply, the steady-state view and the dynamic-state view. The early Chinese believed in a steady state "celestial sphere" theory which was later (3rd century AD) displaced by a weak dynamic system, conceived as an infinite empty-space universe in which astronomical bodies floated freely subjected only to a mysterious "hard wind" force. The dynamic system (the Brahmanda, Table 1 & 2) of the Buddhists, in addition to having a plurality of universes, used lengthy time cycles of destruction and rebirth of the universe. The Cartesians (Table 3), in contrast, had their steady state universe which was filled with matter and in which the same amount of matter and motion is always conserved. Since we cannot think of any limit to the extent of space, it was argued, the Cartesian universe must be infinite. WORLD VIEWS IN CONFLICT. The scientific debate (using a rather broad meaning) between proponents of the unchanging universe and the defenders of a dynamic universe has existed for the most part of three millennia. Aristotle and Eudoxus’ crystalline celestial spheres were in opposition to Heraclitus and Anaximander’s perpetual change where nothing ever stays still and all things are processes. "All things are in flux," the dynamic side claimed. The ancient steady-staters came out on top, the dynamic-movers had to bide their time. In another age, Copernicus (1473-1543) still believed in a rigid sphere of stars when he shifted the center of the universe. Thomas Digges (1543-95) probably felt that the system was too unchanging and opted for a theory in which stars extended infinitely into space, not fixed to a celestial sphere as Copernicus had believed. However, the church decreed that the heavens, once created, embody unchanging perfection; Giordano Bruno (1548-1600) did not entirely agree and suffered the Christian consequences of heresy. In the last century, Einstein’s delicately crafted steady state universe of 1917 (Table 1) was overturned by Lemaître’s violent primordial bomb (Table 2). In 1939, in the United States, George Gamow, Ralph Alpher and Hans Bethe developed a version of the Big Bang that involved cataclysmic creation a ‘hot’ nuclear explosion. Within a decade it was countered by the Bondi-Gold continuous creation, constant density, steady state (SS) universe (Table 2); and by the very similar steady state model of Fred Hoyle (Table 2). Then in 1952 the world’s dominant Church decided to proclaim the revised infallible truth. The universe was no longer in a perpetual steady state of perfection, but rather a dynamic state of perfection; in the new version the universe had a primeval fireball genesis and has undergone explosive expansion ever since. It may expand forever; yes, even to infinity —Giordano, your sin, your insight into infinity, has been forgiven. The sad and tragic irony: Given enough time, heresy becomes orthodoxy. One of the obvious lessons to be learned from the history of scientific achievement is that no theory survives forever, and that often when things seem most settled new observations and fresh ideas replace them with new concepts. But, then, this is part of the adventure that is science, part of the slow conquest of the puzzle that is the natural world, part of what Alfred Noyes so elegantly termed the ‘long battle for the light’ in which man has engaged since the first days of his earliest civilization. But the main arena in which the conflict of the world views takes place is that of science journals and magazine. There, one may find a wealth of articles critical of the Big Bang and many more published in its defense. The dynamic flow pattern of the space medium sustains cosmic-scale cells, as shown in Fig. 1. Fig. 1. Flow pattern of the dynamic space medium sustains cosmic-scale cells. The hexagon is a highly-schematic 2-dimensional representation of a single cell of the DSSU. The red arrows represent the effect of Lambda. The blue arrows represent the effect of Gravity. The Universe, on the grandest scale, is mainly static. See Fig. 2. UNIFICATION OF MODELS. It is rather ironic but all the evidence indicates that the kinematic and dynamic expansion of the big bang and contraction of the big crunch and the perpetual uniformity of the steady state, when brought together, comprise a comprehensive cosmic theory. The research conducted over many years in the preparation of numerous DSSU articles found no evidence to the contrary. Our world is both an ever-changing dynamic universe and an unchanging steady-state universe. The DSSU is the triple amalgam of dynamic "space", steady state processes, and static structure. And like the structure of a living organism there is an ongoing renewal and cell-scaffolding replacement. It has happened before. In the history of science there are found two notable rival theories that claimed to describe the nature of light. One was known as the wave theory, the other the corpuscular theory (or stream-of-particles theory). After several contentious centuries there emerged a wave-particle duality theory of electromagnetic radiation. In other words, the explanation of light required both wave and particle theories. Remarkably, conflicting explanations became united to form a superior single theory. A functionally superior theory of the Universe requires features from the two conflicting world views. The explanation of our Universe requires dynamic vacuum, steady state processes, and quasi-static structure. THE DSSU IN THE COMPETITION OF SCIENTIFIC THEORIES. The system for the selection of scientific truth involves lots of random scattered ideas and theories competing for survival. There follows the selection of the idea that seems to work best. One idea dominates, and this is followed by its amplification. [Heinz Pagels, The Dreams of Reason p138] ... But no theory, no matter how orthodox, is ever safe from competition. Now if a superior idea is omitted from the initial selection system, then an inferior idea may take hold —then reasonable people may be led astray. The superior idea —the cellular-universe idea with its dual nature (or triple nature)— has never been put forward. It has never been in the competition (and therefore has never been rejected). While the standard Steady State and others were rightfully rejected, the BB became dominant (by default), became amplified, and now rules under the sponsorship of the Academic Establishment. The only "debate" has been among different versions of the BB model. None of these versions is persuasive. The DSSU is now in the competition. The future of cosmology may very well lie not with a simplistic single-cell Big Bang but with a multi-cell, dynamic, Steady State. No space expansion. Cosmic RS is caused by energy loss when light interacts with atoms in the inter-galactic medium. Utilizes matter-antimatter symmetry in that the universe may be composed of separate cosmic bubbles of each type of matter. (Generally an infinite universe with fractal structure at all scales.) A multi-verse (or meta-universe) is the hypothetical set of multiple possible universes (including our universe). The different universes within a multi-verse are called parallel universes or "parallel worlds." The narrow meaning of "multi-verse" applies to a set of disconnected space-times. The broad meaning includes virtually any kind of multiple-domain and multiple-parallel universes. Multi-verse models in general lack the empirical connection with reality that comes with hard physical evidence; they arguably fall outside the methodology of scientific investigation. They cannot be confirmed or disproved; and therefore are more mathematically theoretical and metaphysical than scientific in nature. The multi-verse represents more of a classification than it does a theory. As a theory it is weak since it allows for far too many possibilities --- evident in the 4 heirarchical levels of classification of possible meta-universes. Bubble Universe see below complex expanding universe Bubble Universe theory posits an infinite number of "bubbles" or open multi-verses; each may have different effective physical constants, dimensionality and particle content. Both large and small bubbles are created from the quantum foam energy fluctuations of a "parent universe." A small energy fluctuation leads to the formation of a tiny bubble universe which may experience some expansion like an inflating balloon, and then contract and disappear from existence. However, an energy fluctuation greater than a particular critical value, leads to the formation of a bubble universe which experiences long-term expansion, and the possible formation of matter and large-scale galactic structures. This Bubble universe theory fits well with the widely accepted hypothesis of cosmic inflation as well as chaotic inflation. 1981 complex expanding universe An evolving universe based on the concept of hot inflation. (In the original model the bubbles were way too small, while in a later version they were too big.) As the early hot universe cooled, a supercooled vacuum-state developed which eventually led to a process of bubble nucleation ---bubbles of true vacuum spontaneously form in the sea of false vacuum and begin a rapid lightspeed expansion. While bubbles are expanding at the speed of light, the bubbles themselves are spaced far enough apart so that the expansion of inter-bubble space made any bubble interaction exceedingly rare. The problem: there was a knife-edge balance involving the rate of bubble formation. If the rate is not finely tuned, the scenario fails. Since each bubble represents a separate universe, Guth’s model should also be classified as a multi-verse. In Andreï Linde’s 1983 version, called Chaotic Inflation, we have "little bangs" inflating themselves, at random, all over the place. Each with independent initial conditions; some expand into bubble universes supposedly like our entire cosmos. 1993 cyclical expansion and contraction The whole universe steadily expands and contracts (yet does not restrict itself to being a finite universe). The universe undergoes cyclic oscillations between periods of compression and rarefaction involving enormous time scales. A notable characteristic is that new matter formation takes place in regions of intense gravitation, primarily in active galactic nuclei. Uses a Machian theory of gravity. Space and time are geometrized (as in general relativity theory). The Plasma Universe has a serious down side; it does not make sufficiently concrete predictions that would allow one to test and to judge the validity of the theory. A point of interest is that it postulates the existence of vast magnetic vortices which are reminiscent of René Descartes' 17th-century Vortex universe with its system of huge swirling whirlpools of fine matter. The Quasi-Steady-State Universe (QSSU) is an infinite universe that is steadily expanding and contracting on a time scale of about 1012 years. In a later version the time scale of the expanding and contracting cycles is 40-50 Giga-years. The cyclic oscillations "involve maximum and minimum periods of compression and rarefaction" with creation activity in galactic nuclei being greatest in the periods of compression. It is a universe based on a modified version of Einstein's geometrized space and time. New matter formation takes place at active galactic nuclei where astronomers observe energy in the form of hot gas, relativistic particles, and coherent objects being ejected (comparable to H. Arp’s view) but nothing falling in. The traditional view of the black hole as representing the crushing collapse of matter is rejected. Ejection, not mass inflow, is the dominant mode of a black hole; and this is how new matter and energy, sometimes in the form of compact objects such as galaxies and quasi-stellar objects, is born. This is the cosmogony of small "big bangs" in which energy is created in regions of very strong gravitational fields in already existing systems. [G. Burbidge, An Alternative Approach to Cosmogony and Cosmology, J. Astrophys. Astr. (1997) 18, p349-351] Continuous matter creation events occur in regions of very strong gravitational fields in the centers of galaxies in a process supported by the Hoyle-Narlikar C-field theory ("C" for creation) which contains a modification of Einstein’s theory. Matter creation is balanced by negative kinetic energy (whatever that is!). Unlike Einstein's cosmological constant, which has a positive value, the QSSU Λ is negative; and "does not represent the [vacuum] energy density of the quantum fields." The model uses a Machian theory of gravity in which mass and inertia arise from the interaction of a body or particle with all the other bodies in the universe. But like all Machian models it lacks a causal mechanism for gravitation. The QSSU can explain the abundances of the light elements and their isotopes. All elements are the product of stellar-based nuclear processes. Microwave background radiation is a local effect caused by space borne iron whiskers having favorable characteristics. Like all other theories of the universe, except the cellular class, the QSSU does not give a cause for the rotation of galaxies. Although it claims to be an alternative to the discredited BB model, the QSSU, amazingly, supports the expanding universe paradigm. The QSSU embraces the very same pillar that makes the BB model untenable! As we have seen so often in the comparative study of universe models, the unscientific extrapolation of the fundamental process of the Universe —space expansion— always leads to irresolvable problems.